this method is not new but i am posting with new instruction we hope some of you developers, will find better way to install custom firmware. 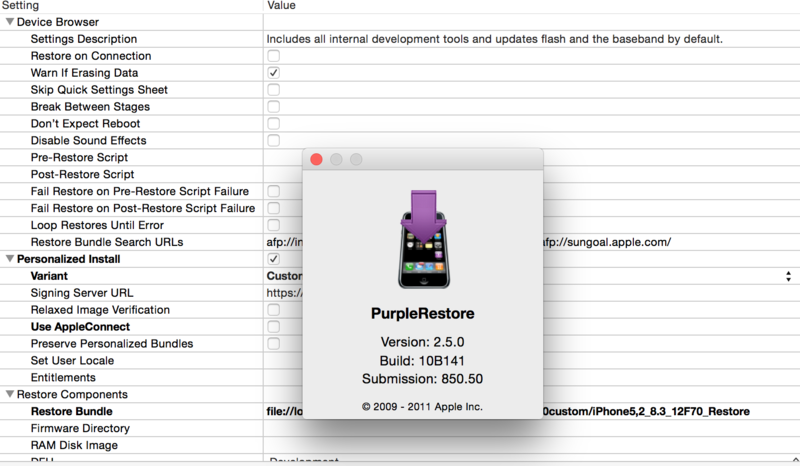 we know purplerestore is a apple internal software to be used by apple repair certificated people. This version is from 2011 thats why will only work in iphone 4S and iphone 5, also you can download a edited custom ipsw made by a twitter friend @Baogatn . In my opinion we are closer and closer to find a way to restore idevices with custom firmware.